OMG! Global warming may mean stronger weed! (That makes it all better, right?) Colorado’s on it. BitTorrent recently released Bleep, a private encrypted P2P messaging system. Of special note is “whisper mode,” in which a message sent vanishes from both devices 25 seconds after it arrives. Whisper mode also blurs out the display so the message can’t be screencapped. It’s available for iOS, Android, Windows, and Mac. Ok. This is weird: KFC in Germany developed a tray liner…that was a disposable Bluetooth keyboard. Pair it with your phone, and you can type with the same greasy fingers you’re scarfing chicken with. It was a test, and only available for a single week. Most of the tray liners, furthermore, went home with customers. Fred Richardson messaged me to say that he had built a Shive torsional wave machine, just like the one that starred in the Carl & Jerry story, “The Bell Bull Sessions.” It’s now for sale on eBay. I’m interested in what SFF authors have bichons. 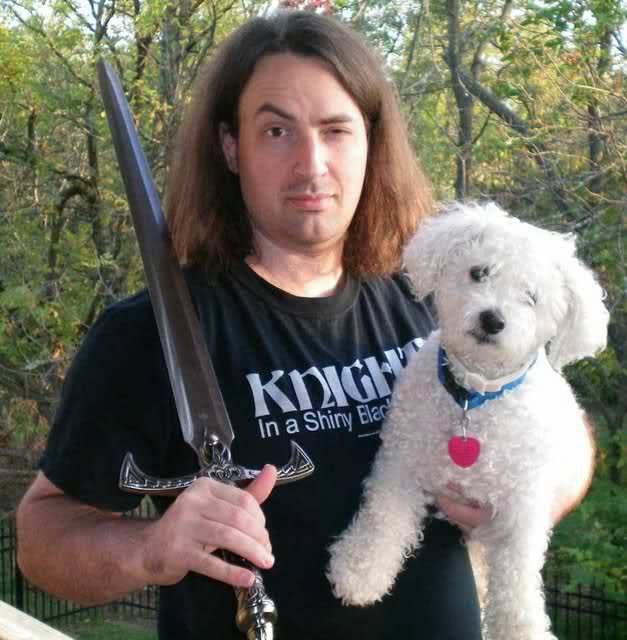 I’m one, Jim Butcher is another. Are there more? I’m also interested in bichons that appear in SFF stories. Toby from Varley’s The Golden Globe is the best-known. A bichon also appears in The Last Policeman trilogy, and, of course, my own Mr. Byte appeared in David Gerrold”s excellent “The Martian Child.” Any others? I recently learned of Dabble, which is basically Uber for teaching one-off courses. Would I make any money teaching Pascal/Lazarus programming? I could also try teaching SF writing, except that I’m not always sure how I do it myself. The opah has recently been identified as the only known fish with whole-body endothermy; that is, it’s warm-blooded. The National Park Service has posted a number of recordings of the Edison Talking Doll, which was a great deal like Chatty Kathy (and similarly electronics-free) except it was sold in 1890. People have commented that the dolls sound creepy or possessed. To me they sound like the women who made the recordings were shouting at the tops of their lungs to provide enough energy to move the recording needles on the wax cylinders. Listen to the recordings again and see what you think. Considering how many people seem to have it, I wonder if “disorder” is the correct term… the perpetually outraged, the helicopter parents, the angry people who stomp around looking for things to rant about. They’re all over the place. With regard to psychiatric disorders, most are actually syndromes; groups of symptoms that are categorized as a disease, rather than a disease that has an underlying pathology. The point being that without a coherent theory of mind psychiatry finds itself in a difficult position of having to use correlations for diagnosis rather than diagnosis based on causation. Sorry this is a very short answer to a very complex question and T&CA, E&OE and as always YMMV. This whole of media in a 24 hour news cycle has a histrionic disorder. Even print media has caught it in headline writing. Politicians are no longer described as responding to proposals of the other party, they “attack” them. And then “outrage” ensues. Overstatements such as these do not contribute to civil discourse and cheapen those circumstances where morale outrage is a suitable response. In The Color Encyclopedia of Incredible Airplanes, by Philip Jarret (London: Dorling Kindersley, 2006). there is, as I recall, a chapter on an automobile/airplane that actually worked. The book’s gone back to the library, so I can’t check, but it wasn’t so long ago that I’m likely to misremember. 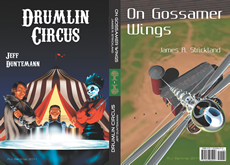 It’s a fun book, though, and gives a very interesting picture of the evolution of airplanes and air travel. Always remember that the media is in the business of selling your eyeballs to advertisers, and (ideally) charging you for the privilege. If they need histrionics to do it? Not a problem. Nothing new here. The late 19th century yellow press basically started the Spanish American war on the flimsiest of pretexts. It sold newspapers.